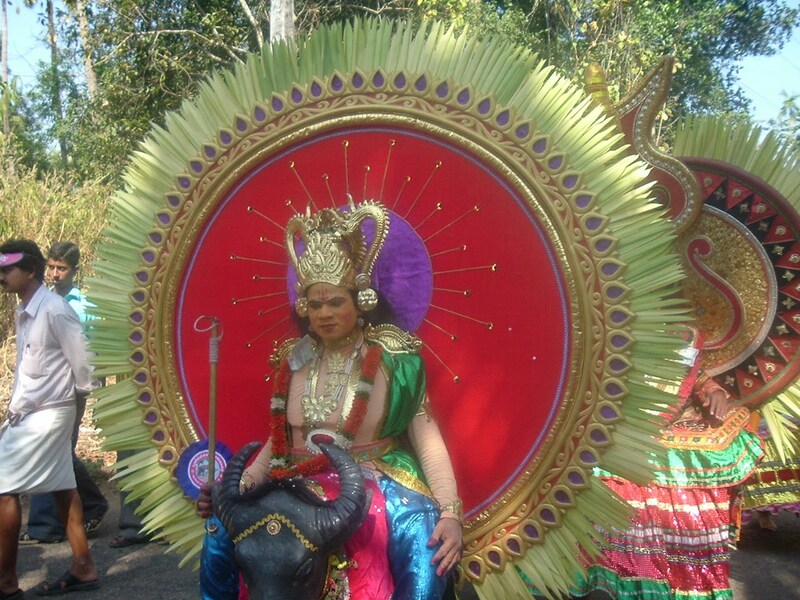 Chettikulangara Kumbhabharani is regarded as the national festival of Onattukara. Chettikulangara devi’s facourite offerings Kuthiyottam and Kettukazcha are the main functions going on here. Kuthiyottam is the main offering by people to Devi in order to fulfill their dreams. It is usually arranged in the houses of the persons who conduct this. Boys at the age of 8 to 12 are selected for this. It commences on the day of Sivarathri. The house of the organizer is decorated and a stage will also be arragned there. A section of the stage is left apart for Devi Pooja. The selected boys for Kuthiyottam will be staying in these particular houses. One boy for one Kuthiyottam and two are selected for double Kuthiyottam and it goes like that. During Sivarathri night, Deeparadhana is done with Peedom and Sword. Kuthiyottam song begins after this Devi pooja. Stories from purana forms the main themes for these songs and it has usually four Padams. Each padam differ in its meter and rhythm. Ashan starts to sing a choir accompanies him in singing. Another group begins to dance with that. The functions continue till the Revathy star. On that day a great feast and a ‘Polivu pattu’ is arranged. On the next day, Barbar comes and makes the boys ready for Kuthiyottam. On the day of Bharani, the boys take a bath in the early morning and get covered with sandel paste and start giving gifts to their parents in order to seek their blessings. Following this, the ‘Chooral Muriyal’ ritual begins. Thin canes are pierced into the stomach of the boys. Now a days, thin threads of Gold or Silver are used instead of cane. Then the boys are taken to the temple accompanied by a procession. On the way, Rose water or Coconut water will be sprinkled upon the boys. When they reached the temple, they will take a round around the temple and reach before Devi. The cane will be taken out at that time and Kuthiyottam comes to an end with this. It is believed that once the cane is broken during Kuthiyottam that boy is never again allowed to take part in Kuthiyottam and he is regarded as a bad Omen. Kuthiyottam remains as of the Narabali in the ancient times. Another popular function associated with Kumbha Bharani is “Kettukazcha”. It is mainly organized by 13 areas, that is related to the temple. Erezha South, Erezha North, Kaitha South, Kaitha North, Pela, Nadaykavu – these areas come up with ‘Kettu Kuthira’. The chariot is made ready by the Kannamangalam South, Kannamangalam North, Kadavoor, Aangilypra and Menampally. Mattom north will arrange the Kettukazcha of Bheeman and Mattom south will make the Kettukazcha of Hanuman. The making of the Kettukazcha’s will begin on the day of ‘Sivarathri’. People from all areas offer their help and support in its making. All these Kettukazcha’s assemble in the field before the temple. By 3’o clock in the night, ‘Jeevatha’ will be taken in front of each Kettukazcha and plays before it. Witnessing the playing of ‘Jeevatha’ is believed to be the most sacred one. There is a legend behind this Kettukazcha. During the reign of ‘Rani Gowri Parvathy Bai’ in Travancore, people from the 13 areas of Chettikulangara were assigned to assist in the construction of Kollam-Chavara canal. They were not allowed to return to their land during the festive season. Then they happened to see the Kettukazcha going on in the Mulankadakam devi temple in Kollam. They prayed to Chettikulangara Devi for getting them permission to leave. If they were permitted, they would have made arrangements in conducting Kettukazcha’s in Chettikulangara. Suddenly, these people were granted permission to leave and thus the Kettukazcha in Chettikulagara began. Oachirakkali is a famous ritual performed on the “Oachira Para Brahma Temple” during the month of June and it involves mock-fighting in muddy water by traditional martial art experts. It is the festival of cattles. 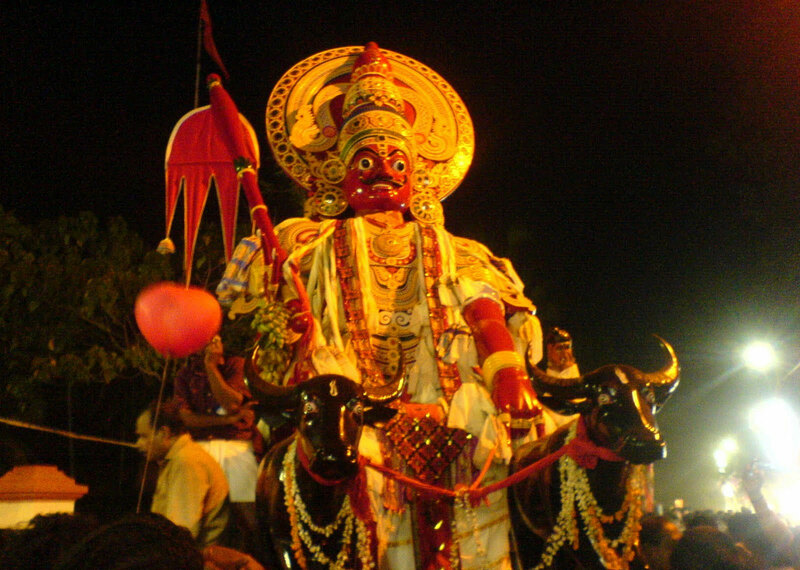 In this festival, huge “EDUPPU KALA” (Gigantic Bull shaped structures) are made. They are then pulled on giant wheels to the Oachira Temple from the site where they are made. Normally there are around 50 such structures. 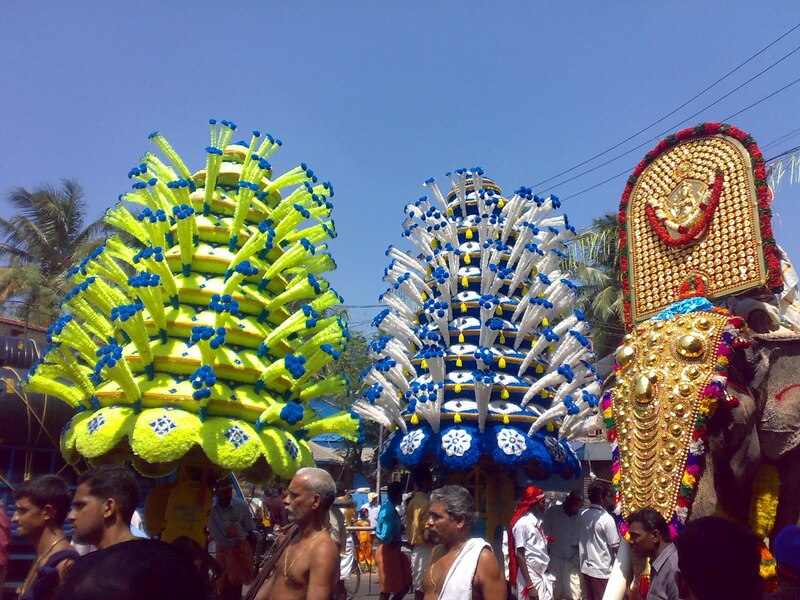 It is one of the biggest festival in “Onattu Kara” along with the Chettikulangara Kumbha Bharani. ‘OachirakKali’ was actually a war exercise performed annually by soldiers of Kayamkulam Raja. Nearby about 108 Kalaries were in 52 karas up to the beginning of 20th century. Soldiers belonging to the above Karas met together at Oachira at the Malayalam month of Mithuna every year and performing war like exercises. This is what is called “Oachirakkali”. During the years of the Kayamkulam Raja Oachirakkali was started after the blessings of nearby Nambiathiris,having the knowledge of Dhanurveda (the Science of Arms) who were also experts in Smrithy Sasthras.